Once you’ve made the commitment to lose weight, the rest is easy—sort of. You have your plan, you know what you have to do, and you are committed to reaching your goal. However, sometimes your best-laid weight-loss plans can be derailed by the thought that you will have to eat the way you did to lose the weight for the rest of your life. As hard as it may have seemed to lose the weight, maintaining your weight loss is often harder. If you are not careful, you could be back where you began in no time. Once you’ve completed the six week Doctor Supervised ChiroThin Weight Loss Program™, you transition to a “normal” diet of mainly LGAI foods. In order maintain your weight loss, you need a plan, just as you needed a plan for initially losing the weight. Below are some strategies to help you successfully transition to and live in Phase 3. If your thoughts shy away from thinking about how you will keep the weight off once you transition into Phase 3, you are not alone. Preparation for this phase will actually help keep you on track. This is the phase in which you will spend the most time, since during Phases 1&2 you should be losing weight and developing new, healthy lifestyle changes. So, you’ve taken off the weight and are now on maintenance. This means you can eat whatever you want, right? Well, not really. Going back to your previous habits will cause you to regain the weight. That’s why the ChiroThin program stresses behavioral changes in addition to diet. Sticking to the little practices that brought you to a healthy weight are the same behaviors that will help you maintain it. Did you add more vegetables to your meals during your weight loss, replace frying with oven cooking or grilling, and eliminate added fats and oils? If you make these behavior changes habits in your everyday life, you’ll find it easier to maintain your new healthy weight. Keep in mind that when these little changes become habits, they can add up to something bigger. For low calorie snacks check out our recommendation for 24 Astonishingly Healthy Low Calorie Foods to Include in Your Diet. No one’s weight stays the same forever. Your weight will fluctuate throughout the day, months, and even years. Give yourself a weight limit—a cutoff point over which you will not allow your weight to rise. It’s always easier to take off a few pounds now and then that it would be to take of 20 or 30 pounds later. Most of the time, all you would need to do is be extra careful for a few weeks to get yourself back on track. Keeping a food diary can help you keep your weight under control. This way you can see the little things that are responsible for your weight and concentrate of eliminating them. For example, a slightly bigger portion may not seem important until you see the results on the scale. Once you are aware of your habits, you can build a strategy for reinforcing the new, healthy habits that were responsible for your weight loss. 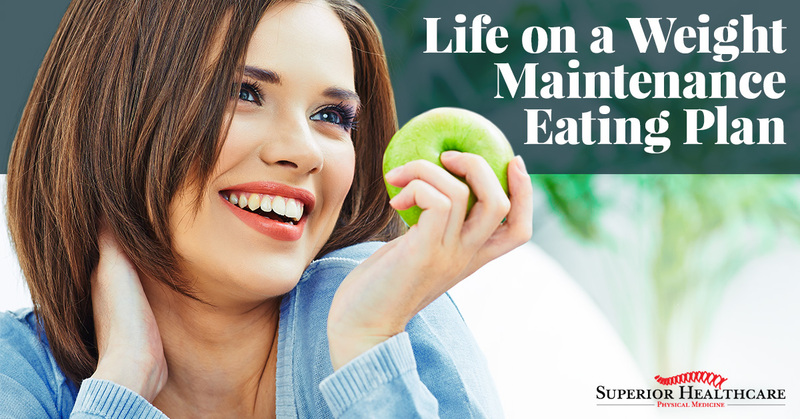 Make some set in stone rules about your lifestyle and eating habits. Life itself doesn’t always make it easy to stick to a plan, especially a plan to stick to a healthy, balanced diet. The rules you set for yourself should realistically reflect your lifestyle and how you like to eat. Although these are your rules and they can be as simple or complicated as you like, simpler is usually better. Maybe you decide do have desert one day a month, or add an extra vegetable portion once a week. Find more tips on how to add vegetables and fruit to your meals here. If you’ve been on a reduced calorie eating plan for months, and then suddenly start eating more, your body might be a little surprised—just as it may have been a bit shocked when you first went on your weight loss program. Don’t forget that by this time, your body has acclimated itself to the healthy, low calorie foods you’ve been feeding it. Start by gradually increasing calories and reintroducing food into your system. Follow the Phase 3 maintenance plan and give your body some time to get used to it. Many people lose a little more at the beginning of Phase 3, so don’t worry if this happens to you. Don’t be surprised if your new body, weight, and lifestyle gives you a natural mood high. If you’ve spent years feeling bad about how you look or how much you weigh, you want to enjoy the feeling of looking good as long as possible. However, while vigilance is necessary, obsessing too much about your weight is not healthy and can leave you feeling frustrated, tired, and stressed. Remember to be kind to yourself. When you live in the real world, you face challenges and temptations every day. It’s likely you’ll indulge once in while. Just remember that one meal, one snack, one piece dessert does not ruin your entire diet. Keep the big picture in mind, gaining a pound or two does not mean you are a weight-loss failure. Go right back to your rules, the healthy habits you built while on the Doctor Supervised ChiroThin Weight Loss Program™, and you will soon lose that pound and keep the rest of the weight off.